Our product range includes a wide range of rotary vane pumps and vane pumps. We are a reliable manufacturer, supplier and exporter of a vast array of Rotary Vane Pumps. The pumps we offer are used for handling and transferring viscous liquids such as petroleum, food products, dyes, syrups, corrosive chemicals, soaps and detergents. We offer customization facility of the offered pumps on the basis of the specifications detailed by patrons. We hold expertise in manufacturing, supplying and exporting a superior quality range of Vane Pumps. 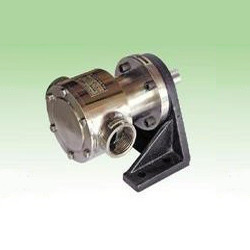 Manufactured using high quality material, these pumps are in tandem with international quality standards. To rule out every possibility of defect, we inspect these pumps on certain well-defined parameters of quality by our experienced quality controllers. Looking for Rotary Pumps ?